Lea Michele tweeted her delight at being back on the set of Glee to film season 5 yesterday, for the first time since her boyfriend and co-star Cory Monteith’s death last month. 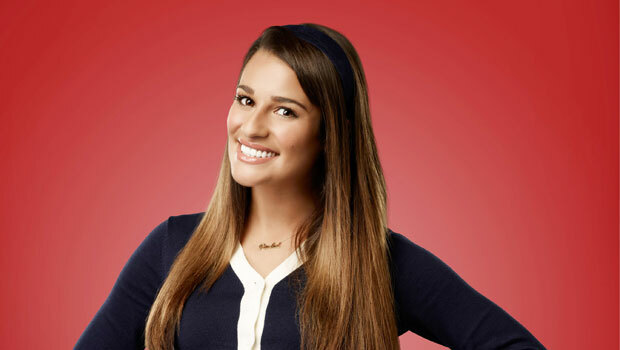 It was announced one week after Cory’s death that Lea would be part of the returning Glee cast in Season 5, where they would film a special tribute episode for the late star. Speaking about the start of filming, Kevin Reilly, FOX Entertainment Chairman called Lea ‘a pillar of strength’ and praised her for being the first one to say she wanted to go back to work. Lea made her first public appearance on Wednesday wearing a necklace engraved with her boyfriend Cory’s name and the next day, made her return to work. Reilly revealed that Season 5’s third episode will deal with the Cory’s character, Finn Hudson, being written out of the show. Though he did not confirm whether Finn would die of an overdose. The Glee cast will make some ‘impactful’ public service announcements, directly to the audience as part of the the third episode broadcast, it was revealed. It will certainly be a hard one to watch.